Grandma Lillian’s mother Clara was a Reznikov, or Reznikova, the female version of the name. We know she came from Elisavetgrad, which was renamed Kirovograd in 1939. Clara was born about 1894, and had a much older brother named David Reznikov who was born around 1872. She also had a sister whose name we do not know, and possibly a brother named Rubin, who may have traveled to South America and was killed in a May Day parade — or so the story goes. We do not know if this is true. Clara’s sister had four children. We think this sister (whose name could have been Minnie) died of tuberculosis in Russia. Her husband brought the four children to New York to live, where he apparently remarried and had another child. If I could find out her first name or better yet her married name, that would open up a whole new limb to the family tree, as I might be able to trace her four children: Morrie, Gertrude, Helen and Joey. Gertrude married and she and her husband went back to Russia in the 1930s for political reasons; my grandma assumes they were killed. I have a series of photographs from 1928 when Clara and at least three of her children, including my grandma Lillian, went to visit these nieces and nephews before visiting her other nephew in Rochester. This nephew was Jack Ross, the son of David Reznikov, who changed his name to Ross when he arrived in Canada. More on them soon. There is some hint that perhaps Clara’s sister’s married name was Drubachevsky but I have never been able to trace this and do not even know where this came from. It’s my hope that one day, I will be able to find out their last name and trace the descendants of Morrie, Gertrude, Helen and Joey. What I do have is an incredible photograph of Clara’s sister and mother along with the children. I see the family resemblance strongly in both Clara and Clara’s mother, whose bone structure is similar to mine. Here are the photographs from 1928 of Clara visiting her sister’s children in New York. Do you recognize these faces? Clara Reznikova Brodsky with her sister’s children, New York, 1928. 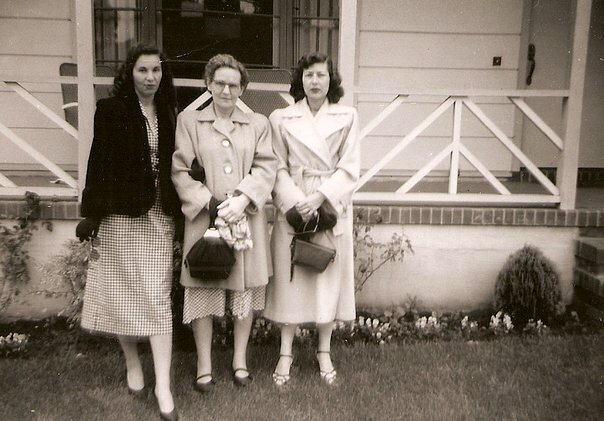 From left: George Brodsky, Morris (last name unknown), Clara, Helen (last name unknown), Gertrude (last name unknown). Seated: Anna Brodsky, Joseph (last name unknown), Lillian (Leah) Brodsky. Previous Post Rose of Kalinovka, Rose of Chicago.